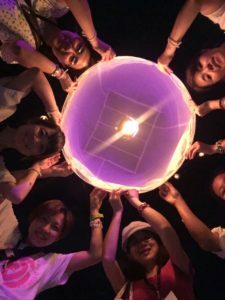 It was one of the best memory night for our guests and us, thank you for sharing your loves. We hope to see you again! It’s winter time, best time of the year to grow vegetable. Started with few plots, and expand slowly, real organic and fresh direct from garden to kitchen! Loy Kratong and Yeepeng festival in Chiang Mai this year will be from 21st – 23rd November. Experience this special event once a year under beautiful sky and full moon night. 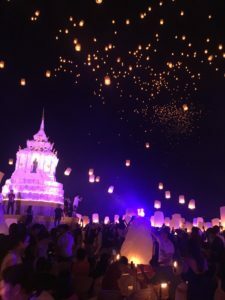 At Golden Cupids, we’re taking our guests to Kom Loy (Lantern) festival on the night of 23rd November, please join us, tickets are running out soon! Together with Bob Fickes, we also provide the meditation and sightseeing tour for this special event, “Mother Earth Tour” participants can meditate, visit special temples and waterfalls, join the famous Loy Kratong and Kom Loy festival, be the part of it. Please contact us for more details! Our swimming pool had been renovated! Now guests can enjoy swimming in beautiful and peaceful gardens.